Saying "Today I will work out because I need to lose weight pronto." And then instead reading a book. It's why I never say I'm going to work out today. By the way LZM, regarding your siggy, you should use [/center] instead to close. Yeah, I'll finger it out one day, when I get on a computer. Too hard on mobile for me. I finally got the energy to give out some points. I´m too lazy to rank your laziness so you will all get 5 points. Lessa too, just to encourage her inner laziness. 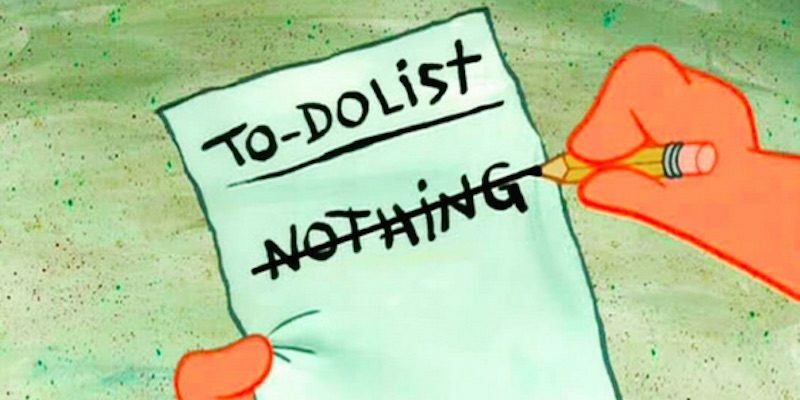 I wish this was my to-do-list.